Our club's humble beginnings can be traced back to 1963 when fishing pioneers Jimmy de Pradines, Corrie Cornelis, Eddy Duffy, Jopes van Rooyen and Hugh Abercrombie started what was initially only a fresh water fishing club back in the day. As the members purchased boats, the club expanded its facets to include deep sea angling and so the club developed over the years into what is the largest in the province of Mpumalanga today. As a deep sea angling fraternity the NDAC (Nelspruit District Angling Club) is closely associated with the MDSAA (Mpumalanga Deep Sea Angling Association), with a number of its members on the MDSAA committee. We are proud to say that the NDAC has produced a number of Springbok/Protea anglers over the years...home grown from our very own club here in Nelspruit! As a club we are proactive and enthusiastic about fishing. We promote our juniors and our club is well represented at National level annually. At least once a month we offer a tackle box at our local clubhouse, The Marlin Pub and Grill, where our members also enjoy fantastic discounts on excellent food and ice cold beers. The club offers two organised deep sea angling competitions in Mozambique annually, namely the Inhaca Challenge and the Onderberg Species Invitational Bonanza. The NDAC has gone from strength to strength over the years and we would like to encourage you to join our club today... whether you are a novice or avid angler. The Marlin Pub and Grill is situated close to the Nelspruit show grounds. 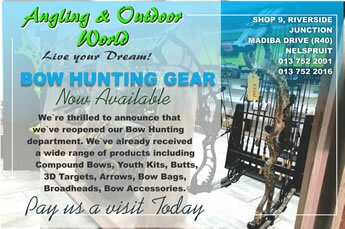 Owner-run and managed by Chris Naudé, well known and respected master at his game. Great breakfasts, bar munchies, light meals and dinners are served, excellent prices. Watch for daily specials. 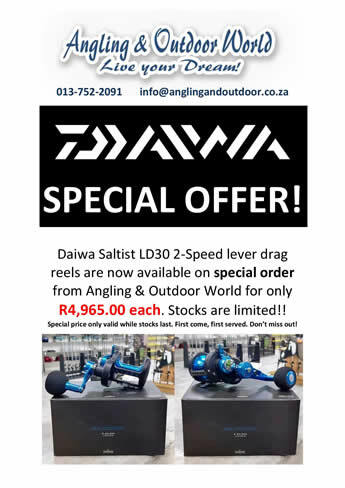 Any paid up member of the NDAC is eligible for the "Angler of the Month" award which is a R200 gift voucher sponsored by Solly's Anglers Nelspruit...simply send in your pictures to qualify. Winners will be announced in the Newsletter.